Providing you the best range of pressed sleeve coupler 4 mm and sleeve coupler with effective & timely delivery. We are well accepted as major manufacturers fabricating high performing Pressed Sleeve Coupler 4 mm. 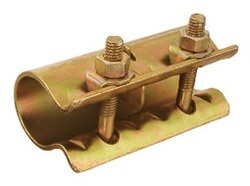 We have designed the best suited option to connect two scaffolding tubes externally end to end. These couplers are widely useful where tension joints are required in ledger tubes. Featuring mild steel or boron steel bolts the offered couplers can be availed from us at market leading price. We are renowned firm manufacturing highly demanded Sleeve Coupler. 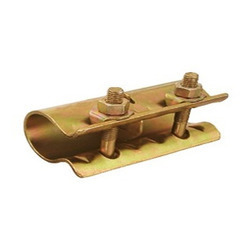 These types of couplers are best suited for external end to end connection of scaffolding tubes. Featuring highly durable pressed steel construction, our offered sleeve couplers are equipped with mild steel tee bolts and 21 mm size nuts. Further, we are providing these robust couplers at market leading price to our prestigious clientele.